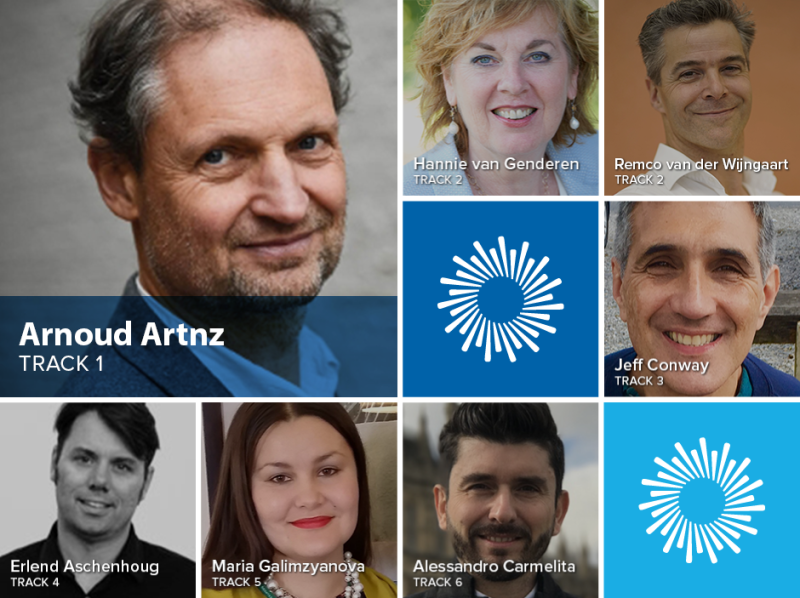 ANNOUNCING THE FEATURED PRESENTATION @ ENLIGHT 2019. How do you integrate schemas and modes to achieve lasting results? We are thrilled to announce that the FeaturedPresentation at ENLIGHT 2019 in Edinburgh will be presented by the creator and founder of Schema Therapy: Jeff Young. Taking place near the end of an active Day 1 full of learning and connecting with fellow colleagues from around the world, the FeaturedPresentation will be a highlight of ENLIGHT 2019. Jeff will discuss the challenges many therapists face when struggling to balance between a focus in treatment on schemas relative to modes. The end result of a sometimes fragmented approach between the two concepts can lead to incomplete treatment outcomes that may not fully realize both emotional and behavioral change in patients. When a therapist solely focuses on schemas to treat a patient, she or he may underutilize the effectiveness of mode work to break life patterns and to create behavioral changes. Similarly, a therapist who practices a singular focus on mode work may limit the full impact targeting schemas can have to help a patient create deep emotional changes. Jeff will clarify on a conceptual level how schemas and modes can work together simultaneously to create both emotional and behavioral change. Originally, the shema and mode concepts were not developed to be separate approaches to treatment, but rather to be addressed at the same time. He will demonstrate how to change schemas at a deep level within the context of working with modes. Additionally, some schemas are not addressed in mode work, so an effective schema therapist may best meet the needs of a patient’s schemas by flexibly stepping out of mode work when appropriate to target specific schemas. Effective Schema Therapy also encourages a therapist to tailor his or her treatment approach to focus intensely on an individual’s schemas when the need arises. The skilled schema therapist is also adept at shifting from a schema focus to a mode focus, flexibly, depending on the particular needs and life situation of a patient. One example would be when a therapist is working with a patient experiencing Borderline Personality Disorder who may need to have his or her schemas addressed in the beginning stages of treatment, followed by a shift to target modes as the therapy continues. Jeff will explain how to determine when to focus more on schemas or modes, or to use both concepts simulataneously depending on the stage of therapy and the life situations the patient is facing. Ultimately, an effective schema therapist can flexibly use the interplay between schemas and modes to help patients create both deep rooted emotional shifts and change chronic behavioral patterns to achieve optimal and lasting results. ALREADY REGISTERED FOR ENLIGHT 2019? Your choices have been recorded when you made your selections during registration. To review your choices, please find your confirmation email that was automatically sent to you after you registered. Your selections will be available on your QR code when you pick up your name tag. You can save your choices for easy reference on the new version of the Schema Therapy App, soon to be updated and expanded with the latest technology features available. 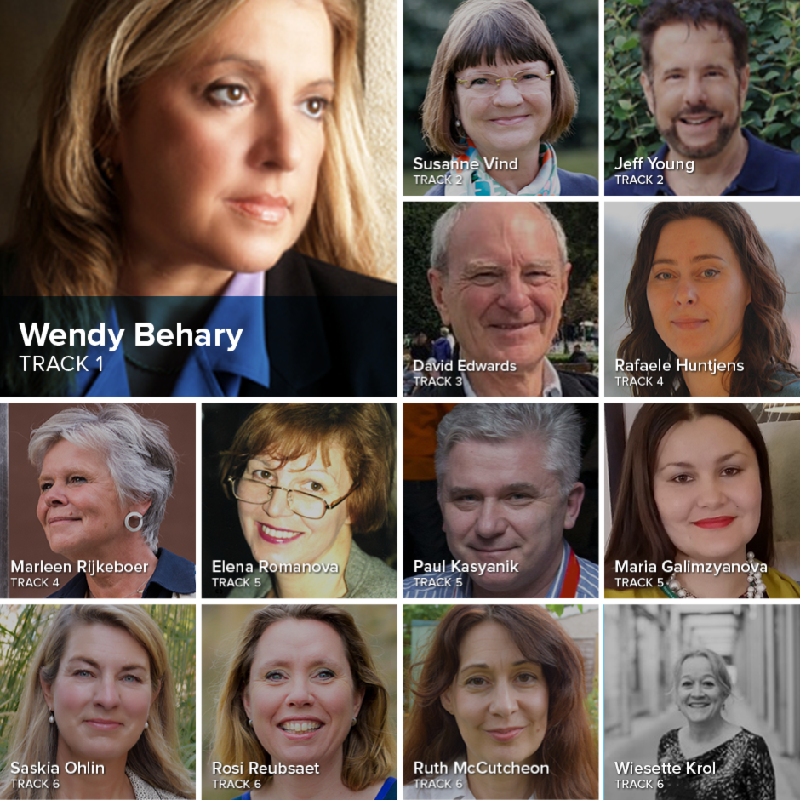 SCHEMA THERAPY APP: The Schema Therapy App will be your hub for connecting with other participants, and will help you navigate all that ENLIGHT 2019 offers. The app will be available before the symposium begins, exclusively to all participants. To receive credit for attendance at each selection, your name tag must be scanned when you enter and exit each day's selection. NOT YET REGISTERED? We were able to open a few more spots in the Final Tier before we reach maximum capacity for the venue. 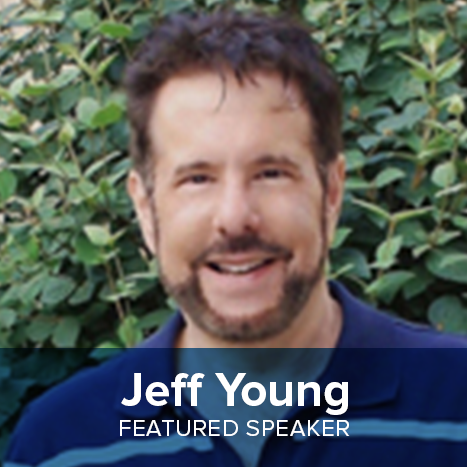 Don't delay: reserve your spot now to experience all that ENLIGHT 2019 offers, including the Featured Presentation by Jeff Young. Copyright © 2019 International Society of Schema Therapy, All rights reserved. Do You Practice Body-Focused Methods in Schema Therapy? Register now for the fifth installment of ISST's webinar series, taking place on Wednesday the 20th of March 2019. The topic, "An Introduction to Body-Focused Methods in Schema Therapy" will be presented by Janis Briedis. The 90-minute webinar is free to all active ISST members. Space is limited, so be sure to reserve your spot by signing up now. If you can't attend, you can return to the ISST website after the webinar to view the recording if you're an active member enrolled on the ISST website. Janis will present the theory and experiential approach to integrating body-focused techniques to enhance schema therapy practice in a time-limited manner. These techniques are particularly helpful for clients presenting with complex needs with histories of severe childhood neglect or trauma who have difficulty engaging with traditional schema therapy strategies. 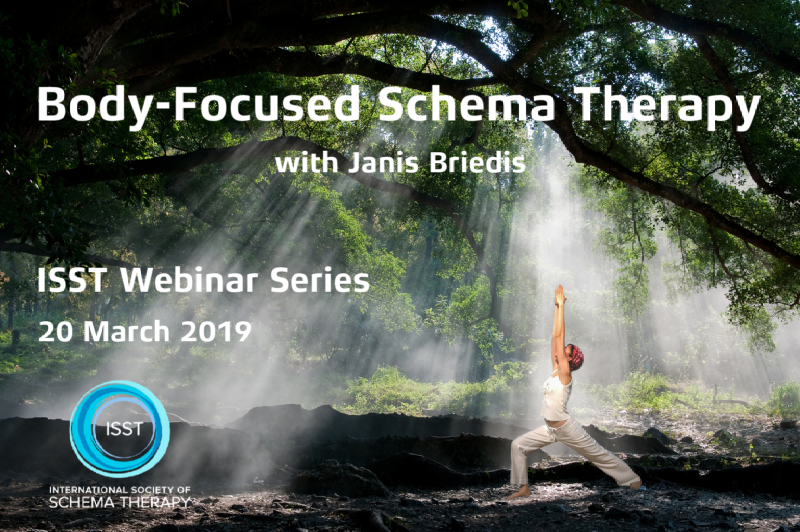 The webinar will be interactive, designed specifically for schema therapists wishing to broaden their repertoire by incorporating simple but powerful somatically-focused interventions. 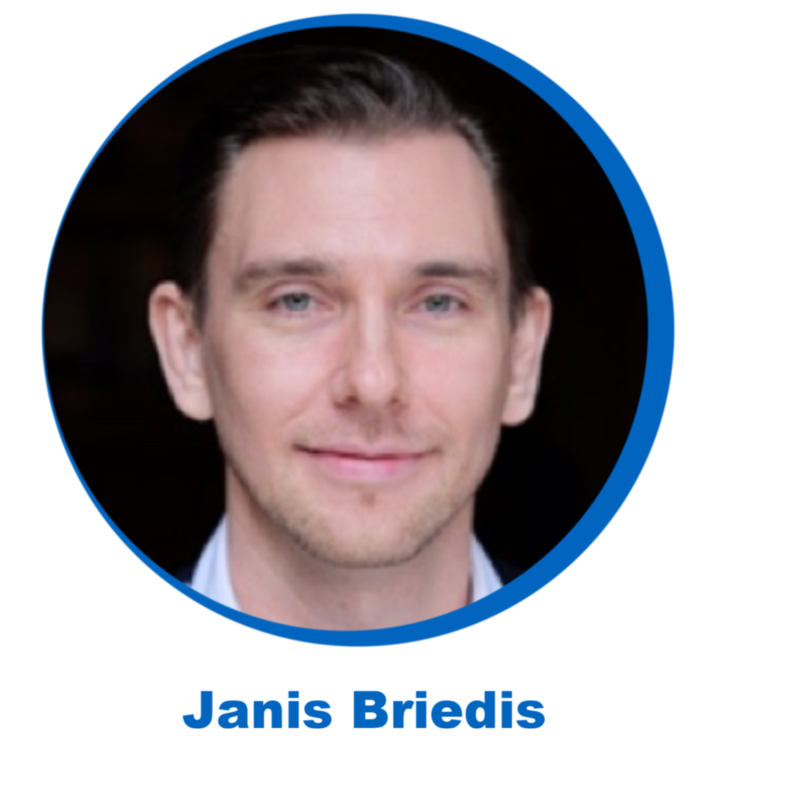 Janis Briedis is an Advanced Certified Schema Therapist, Supervisor and Trainer practicing in London, England. He is also a cognitive behavioral therapist (CBT), integrating EMDR, Mindfulness, Compassion-Focused Therapy (CFT) and Sensorimotor Therapy in his practice. 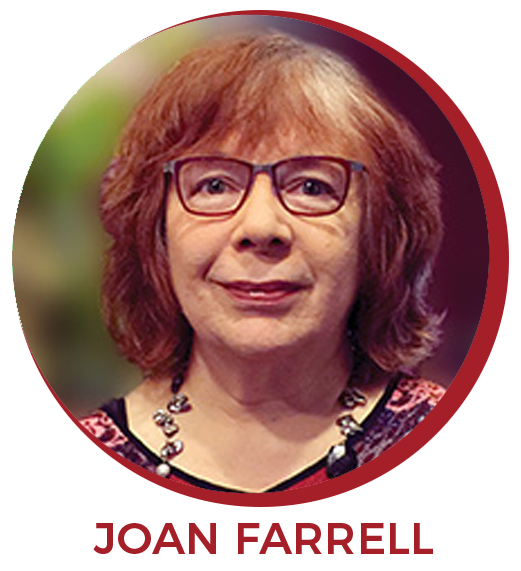 Janis teaches Schema Therapy, CBT, and Mindfulness in a variety of National Health Services (NHS) and academic settings, including the University of East London and University Hertfordshire. Susan Simpson, the ISST Executive Board Secretary, will be facilitating the webinar. This ISST webinar will be hosted by Susan Simpson, the ISST Executive Board Secretary. Take Epic Cues from Schema Therapy Masters @ ENLIGHT 2019. 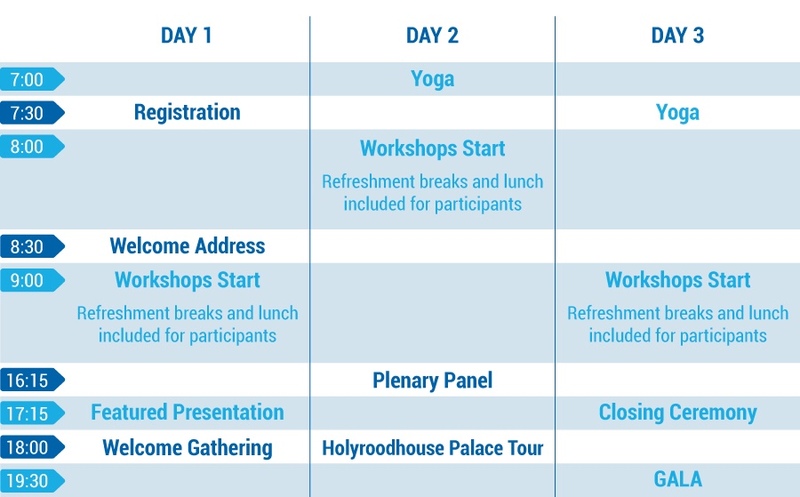 How will you create your perfect third day in Edinburgh? 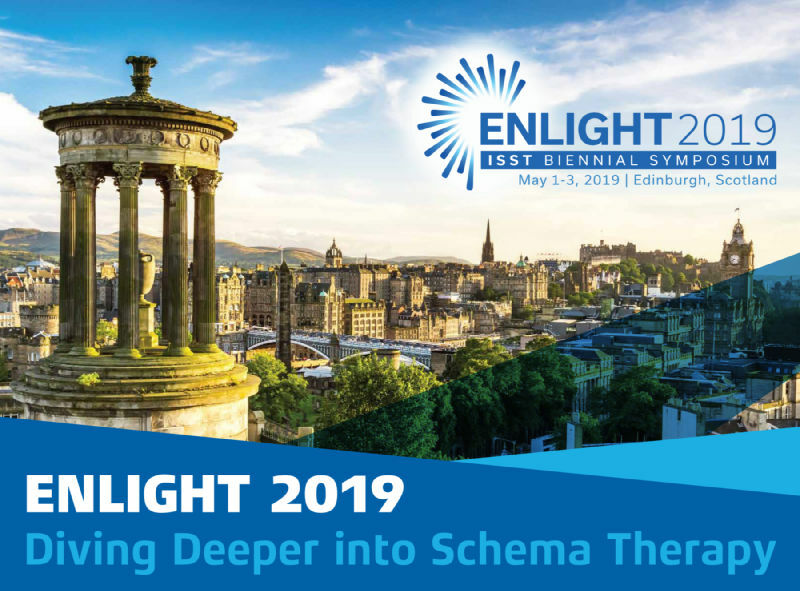 During the third day at ENLIGHT 2019 in Edinburgh, you will have your final opportunities at the symposium to be Diving Deeper into even more great Schema Therapy content. You will be further enhancing your knowledge and skills from master Schema Therapists from around the world. MORNING YOGA: We will start the morning with our tradition since Vienna @ INSPIRE 2016 with AcroYoga. This light, low-sweat morning exercise focuses on participants' team building and connection. Day 3's AcroYoga is SOLD OUT. INCREDIBLE TRACKS: Take a look below at the broad-ranging selections available to participants on Day 3, with six tracks of options. CLOSING CEREMONY: We are excited to welcome all participants to a Scottish version of our now traditional Closing Ceremony, beginning @ 5:15, to celebrate our three days together. 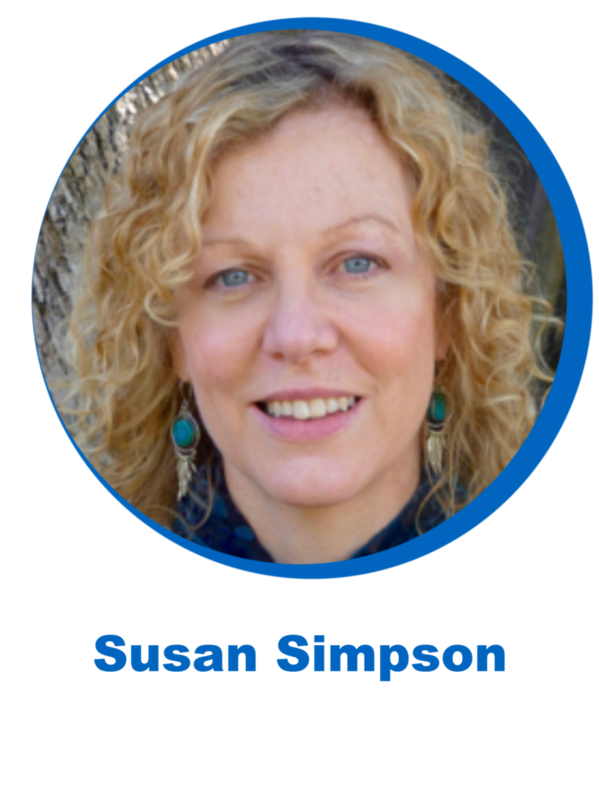 Susan Simpson, our ISST Executive Board Secretary and point person for ENLIGHT 2019, has arranged for a special guest appearance by the Picts, named after the northern tribes that constituted the largest kingdom in the area of Scotland during the Dark Ages. Today, the name lives on in this talented musical group, as the Picts are one of the most popular live acts on the folk rock and concert scene in Scotland. The Picts offer a unique brand of Celtic rock. They have performed to hundreds of audiences, both locally and abroad. You will count yourself among the many who have been captivated by the Picts' talent. GALA EVENT: Join us for the concluding event of ENLIGHT 2019 at the magnificent Scottish National Gallery for the GALA. Dinner includes mouth-watering choices from a meat, fish, or vegetarian menu for €80, and includes wine. The Scottish National Gallery is situated in three beautiful buildings, and is home to some of the world's most famous art masters, including Rembrandt, Vermeer, Raphael, Turner, Monet, Van Gogh, Gauguin, and Botticelli, among many others. Located on the garden level entrance of the Scottish National Gallery, the Scottish Cafe & Restaurant has incredible views across Princes Street Gardens towards Waverley Bridge. ALREADY REGISTERED? Your choices have been recorded when you made your selections during registration. NOT YET REGISTERED? The Final Tier will be closing soon, with only a few spots remaining before ENLIGHT 2019 reaches full capacity and is sold out. Don't delay: reserve your spot now to experience the Schema Therapy Event of 2019! Last Chance: Register Now for the Schema Therapy from the Inside Out Webinar. Join Joan Farrell as she discusses self-practice and self-reflection. Register now for the fourth installment of ISST's webinar series, taking place on Monday the 25th of February 2019. 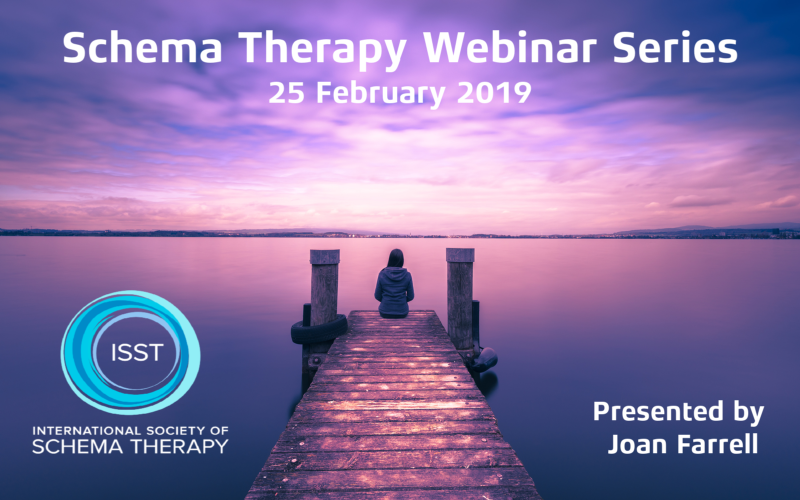 The topic, "Experiencing Schema Therapy from the Inside Out: a Self-Practice/Self-Reflection Webinar" will be presented by former ISST Executive Board Training and Certification Coordinator Joan Farrell. Joan will demonstrate key SP/SR interventions to share with webinar participants. Additionally, she will discuss ST research supporting the use of SP/SR for both new and experienced therapists. Joan Farrell, Ph.D. is a Licensed Clinical Psychologist and the Research Director of the Center for Borderline Personality Disorder Treatment and Research at Indiana University-Purdue University Indianapolis (IUPUI). She is an Adjunct Professor of Clinical Psychology at IUPUI and was on the faculty in Psychiatry at Indiana University School of Medicine for 25 years. Joan is co-principal investigator of an international trial of ST for BPD with Arnoud Arntz with 14 sites in five countries and was principal investigator of a randomized controlled trial of Group ST for BPD that was awarded a National Institute of Mental Health grant. She was the Coordinator for Training and Certification on the Executive Board of ISST from 2012 until 2018. Joan and Ida are the developers of a group model of ST that integrates experiential interventions and harnesses the therapeutic factors of groups. They have worked together since the 1980s and provide individual and group ST training. 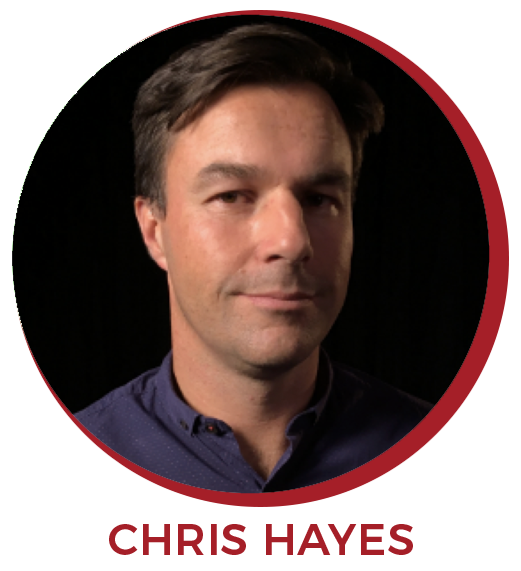 Chris Hayes, the former ISST Executive Board Secretary (2014-2018), will be facilitating the webinar. Unlock hands-on training from brilliant minds in Schema Therapy. How will you create your perfect first day in Edinburgh? 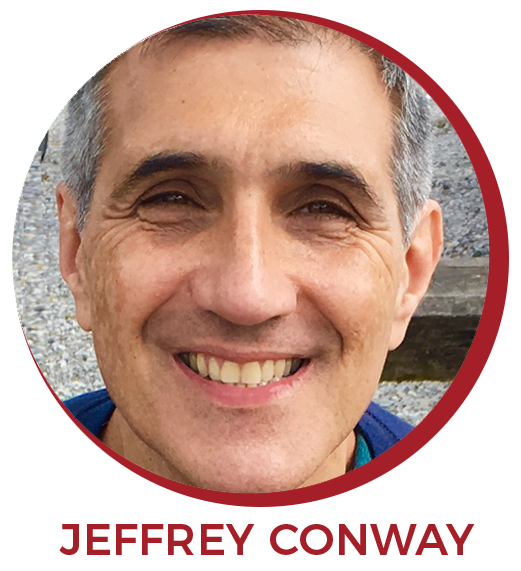 During the first day at ENLIGHT 2019 in Edinburgh, you will be diving deeply into great Schema Therapy content to help enhance your knowledge and skills in a way that you definitely will not want to miss. Take a look at the incredible selections available to participants on Day 1. We'll be hosting a Welcome Reception, with gratis drinks available to all participants. 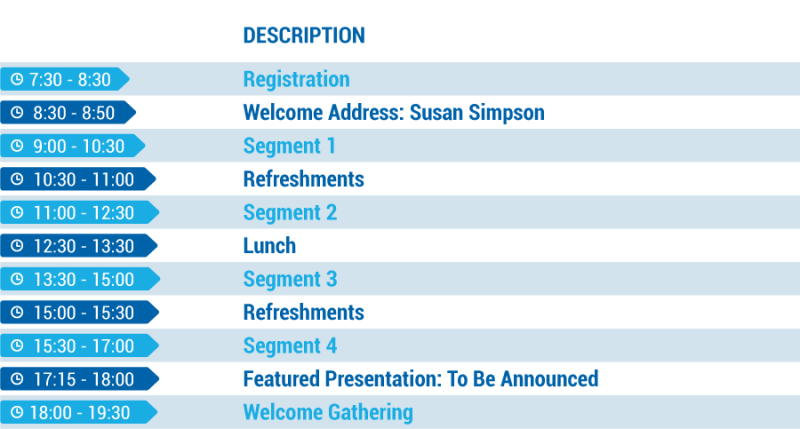 Shortly we'll also be announcing our Featured Presenter for the symposium, a new feature of ENLIGHT 2019 taking place on Day 1. Already Registered? Your choices have been recorded when you made your selections during registration. To review them, please find your confirmation email that was automatically sent to you after you registered. Your selections will be available in your QR code on your name tag. To receive credit for attendance, your name tag must be scanned when you enter and exit each day's selection. Not Yet Registered? Less than 25 spots remain before ENLIGHT 2019reaches full capacity and is sold out. Don't delay: reserve your spot now to experience the Schema Therapy Event of 2019! Let Edinburgh Steal Your Heart. Fall in love with Edinburgh, the showpiece of Scotland, as you Dive Deeper into Schema Therapy. Come see one of Europe's most entertaining cities, Edinburgh, with stunning vistas and a skyline full of domes, spires, towers, and steeples. Experience both old and new, with cobbled streets, narrow lanes, medieval "skyscrapers," and plush courtyards of the Old Town, or the upscale shops spread out along broad boulevards and Georgian mansions waiting to greet you in the New Town. Edinburgh is a UNESCO world heritage site, a destination city packed with both ancient elements and modern fun. ENLIGHT 2019 is the Schema Therapy Event of the Year, taking place May 1st through the 3rd.  The International Society of Schema Therapy (ISST) will bring together a worldwide community of clinicians, researchers, educators and supporters for its biennial symposium (formerly known as Summer School). A limited number of Tier 4 rates are now available for a few more registrants. If you haven't yet registered, don't wait: we have less than 50 spots remaining until we reach full capacity. Rates go up and availability goes down with each Tier level. Workshop sizes are also very limited, so to get your top choices among selections that are still available, register now. If you have not yet registered: the sooner you register, the more you save, and the more likely you will get to attend your preferred workshops. Less than 50 spaces remain for the symposium. Where to stay? Edinburgh offers accommodations to satisfy every taste and budget. Grand historical hotels offer old-world charm, and modern, design hotels allure you with contemporary habitats. Edinburgh also offers B&Bs with a friendlier budget, where you can experience how local residents live. If you missed the Schema Therapy for Complex PTSD Webinar, watch it now. Watch the latest webinar, "Schema Therapy for Complex PTSD," presented by former ISST Executive Board Secretary Chris Hayes. Active ISST members can access the 90-minute webinar at any time on the ISST website. 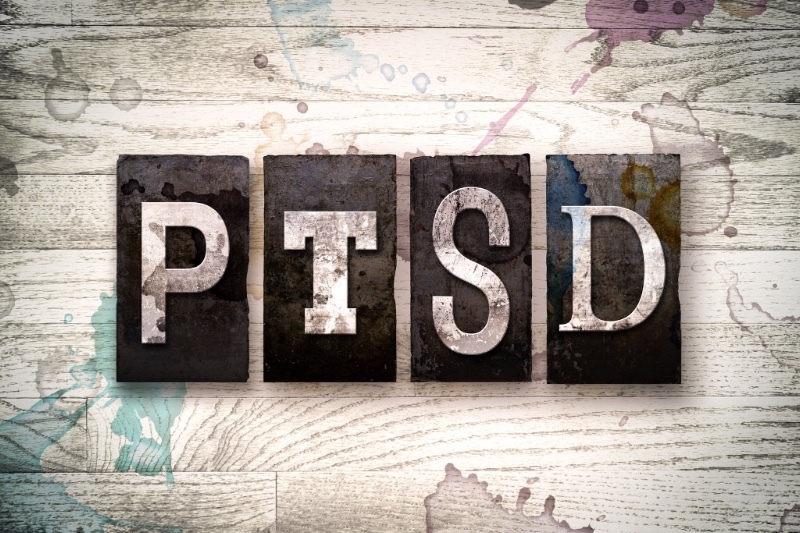 This webinar examined the use of Schema Therapy via a case study of a young woman presenting with a history of complex PTSD. 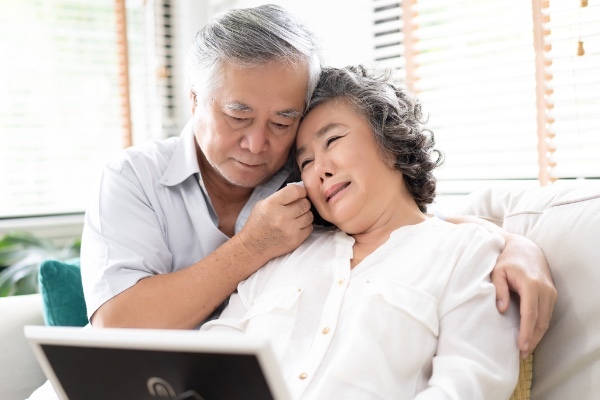 The webinar discussed ways to formulate, engage and provide treatment for trauma-related symptoms and looked at ways to overcome treatment barriers and difficulties typically seen in practice. In addition, the webinar addressed how the therapist's own blocks can be overcome when working directly with trauma material. 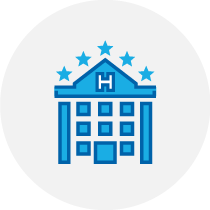 Chris Hayes has had extensive experience in both government and private settings working with clients with complex psychological presentations. He is currently employed with the Health Department of Western Australia as a Senior Clinical Psychologist, specializing in treating recent or childhood trauma. 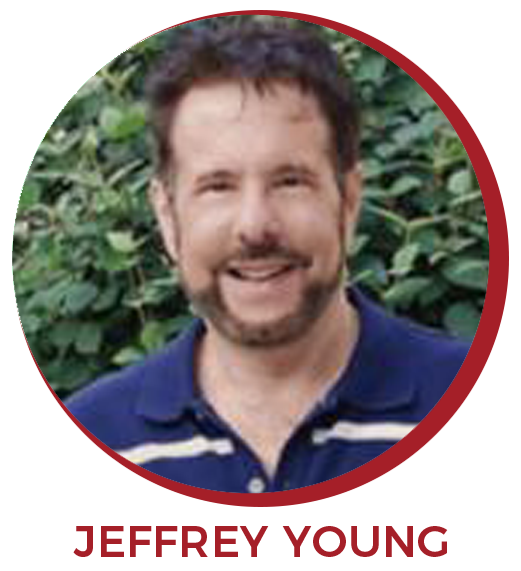 Chris completed advanced certification in Schema Therapy at the Schema Therapy Institute of New York, and was trained directly by Dr. Jeffrey Young. He is the Director of the Schema Therapy Training Center of Australia. Chris has presented workshops throughout Australia, New Zealand, Austria, the United Kingdom, Ireland and Spain. Chris served as Secretary on the ISST Executive Board from 2014 until 2018, and was the co-editor of the Schema Therapy Bulletin. He is an Advanced Certified Schema Therapist, Supervisor and Trainer. If you missed INSPIRE 2018 in Amsterdam, or want to relive part of your experience, watch the Keynote Address of Jeff Young and Jeff Conway. Jeff Young, the creator and founder of Schema Therapy, and Jeff Conway, the current Training Coordinator on the ISST Executive Board, present their keynote address at INSPIRE 2018 in Amsterdam. During their keynote address, Jeff and Jeff discuss the New Case Conceptualization Form in more detail, helping clinicians complete a vital resource for effective treatment in Schema Therapy. The New Case Conceptualization Form helps clinicians avoid treatment failures, and encourages new solutions for treatment impasses. Jeff and Jeff also cover the Instruction Guide with Detailed Help, a Sample Form, and share illustrations of how to best utilize the new form for effective treatment. The Case Conceptualization Committee, consisting of Jeff Young, Jeff Conway, Susanne Vind, Poul Perris, Vartouhi Ohanian, and David Edwards, worked extensively for more than two years to develop the new form. Their work included the completion of a pilot study that many ISST members participated in. The New Case Conceptualization Form will play a central role in Schema Therapy Supervision, Training, and Certification procedures. It is now available in multiple languages, with more translations anticipated in the near future. A special thanks to Jeff and Jeff for granting permission for this video to be shown exclusively to active ISST Members enrolled on the website. This INSPIRE 2018 video was created and produced by Travis Atkinson, Media Coordinator for the ISST Executive Board. Registered for ENLIGHT 2019? If you haven't yet enrolled, take a moment to sign up for the lowest rates available, while space remains. The sooner you register, the less you pay, and the better your chances to attend your preferred workshops. Don't miss out on the Schema Therapy Event of the Year, May 1 - 3, in Edinburgh, Scotland. 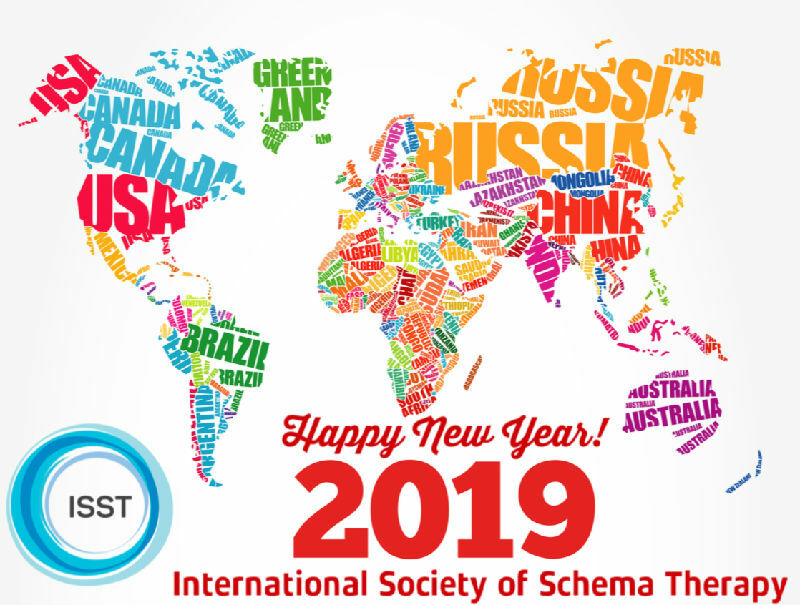 Happy New Year from Your Friends at the Schema Therapy Society! Wishing you a world of peace, love, joy, health, prosperity and happiness in the new year. 2018 was a banner year for ISST. Whether you are a clinician, researcher, educator or supporter, your schema therapy community has never been stronger. We invite you to read highlights of some of the many resources we offer below. Get involved in areas you are passionate about. 2019 promises even more opportunities for us to open our minds to new challenges, and to create even more solutions to help transform the lives of the people and communities we serve. Registration for the Schema Therapy Event of the Year opened a few weeks ago, and enrollment already is nearly surpassing the total for Barcelona in 2017! You will experience a special Feature Presentation by an expert in the field of schema therapy, intensive workshops in multiple areas that fit your interests in schema therapy, a plenary panel exploring the depths of the latest schema therapy topics, a surprise during the Closing Ceremony showcasing some of the best Scottish talent, and a GALA event not to be missed! Dive Deeper into Schema Therapy in Edinburgh this May. A few spots remain for Tier 3 Registration, providing the lowest rates and best selections available. If you haven't already registered, be sure to sign up now before rates increase and selection options decrease when Tier 4 begins. What speciality topics in schema therapy are you passionate about? Check out the many Special Interest Groups ISST offers, or start your own group! 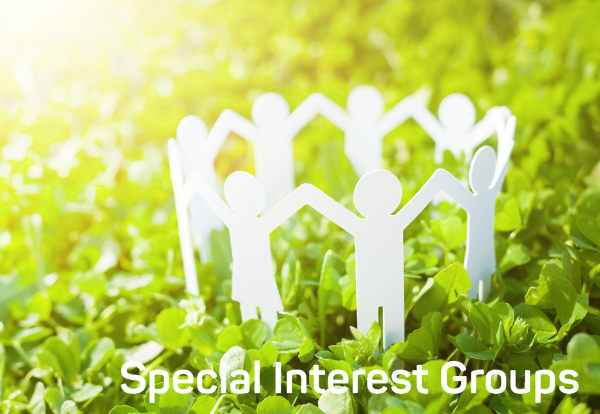 Visit the Special Interest Groups page on the website, and choose among the many topics, including Trauma, Couples, Organizational Development, Sexuality and Gender, and Online Schema Therapy. 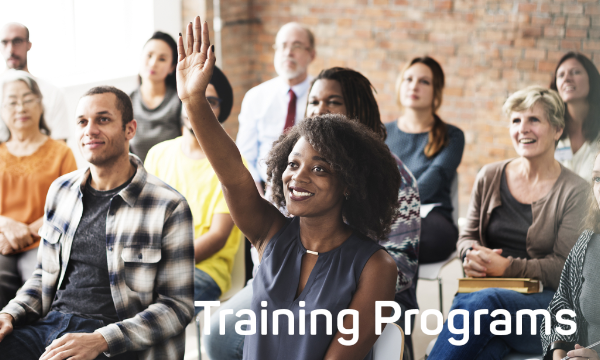 Find a training program in your part of the world, or where you would like to travel by visiting our ISST Approved Training Programs section of the website. 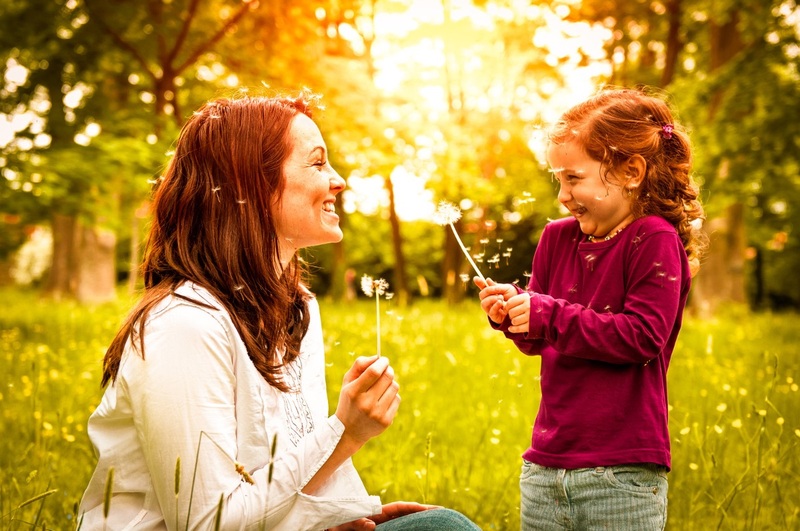 You will find programs leading to certification in individual, group, couples, auxiliary and children & adolescents, both in standard and advanced levels from certified schema therapy trainers. 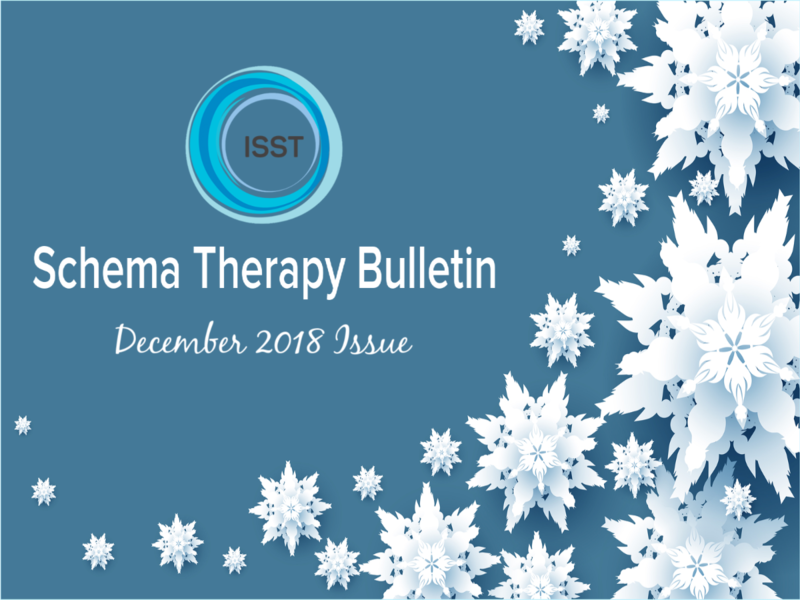 Member Exclusive: Read December's Schema Therapy Bulletin. Schema Therapy is an evolving model due largely to our members’ creativity, courage, thoughtfulness, insight, and commitment to helping clients. These traits are highly evident in the work of the authors contributing to this edition of the Schema Therapy Bulletin. 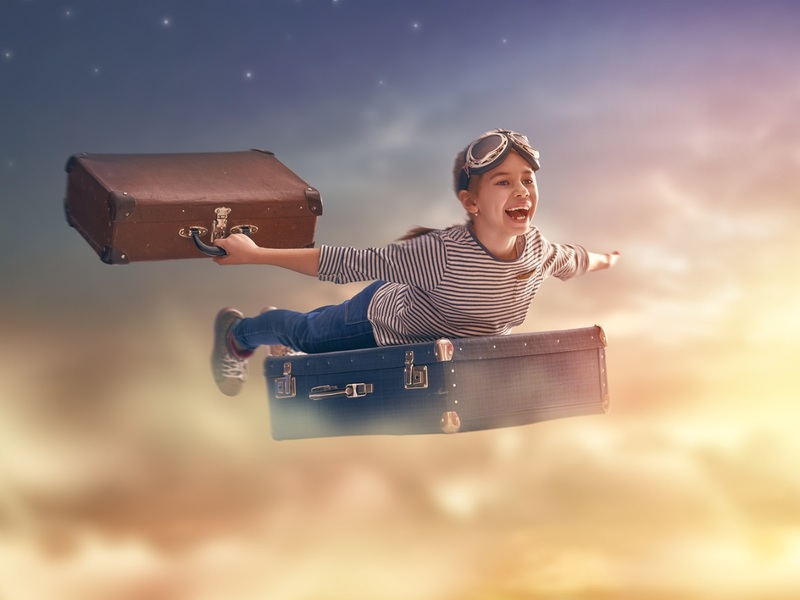 In this issue, Lynda Parry provides a history of the use of dreams in psychotherapy, and then discusses her use of dreams to access the Vulnerable Child Mode in therapy. Her article thoughtfully explores key questions including the degree to which such work could accelerate symptom reduction while ignoring underlying causes, particularly in the case of complex trauma; by “manipulating” dreams are we “short circuiting” some of the work the brain needs to do to process information and function optimally; and by working with dreams could we underuse the therapeutic relationship in ways that may prevent growth and healing or are therapeutic dysfunctions inevitable and their repair an aid to healing? Parry provides an important overview of sleep and dream stages, outlines the history of dream work in CBT, and the importance of timing in working with clients’ dreams. Lisa Elizabeth Irvine provides a Schema Therapy perspective on Parental Alienation Syndrome, a problem particularly relevant to clinicians working with children of divorce. She conceptualizes the triangulation that can occur in these situations as the wounded parent compensating for feelings of defectiveness and shame, and to escape the Vulnerable Child Mode by engaging in overcompensating modes, which have the effect of enlisting the children to protect the wounded parent, thus alienating the other parent, now seen as a perpetrator, or Punitive Parent. This creates a paradigm of victim, perpetrator and rescuer, with the children co-opted to serve the needs of the alienating parent. Irvine elaborates on the challenges, both clinical and ethical in working with this dynamic. 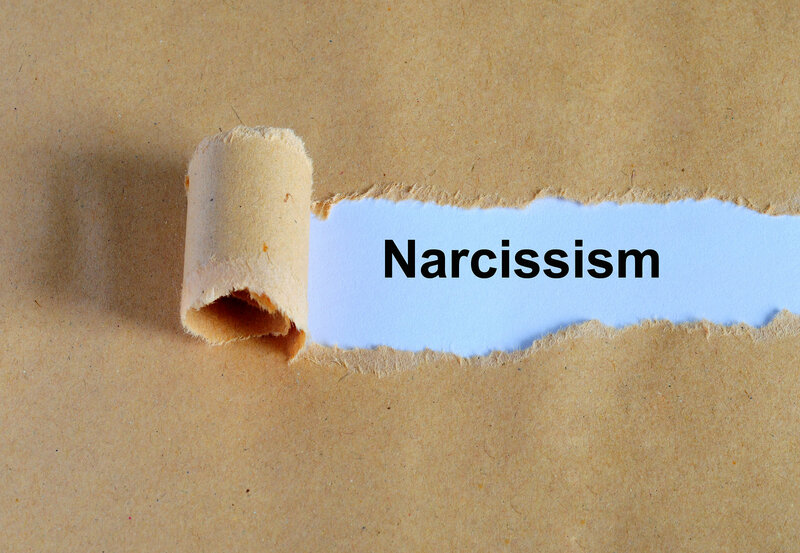 Wendy Behary and Liz Lacy provide an overview of their presentation in Amsterdam discussing, “Narcissism, Shame and Intimacy: Dealing with the Unmet Needs of the Narcissist." Behary and Lacy describe the thrill seeking self-soothing detachment that many narcissists seek through sexual exploits. They make the distinction between sexualized efforts to evade feelings of defectiveness and shame, and true intimacy, which could actually heel those feelings. Schema Therapy approaches to workings with this population are described, with an emphasis on knowing and coping well with one’s own schemas. Finally, Sally Skewes provides an introduction and overview of “Secure Nest,” a self-education “e-health” tool” developed to help people assess and understand their own schemas and modes, and recognize their triggers. 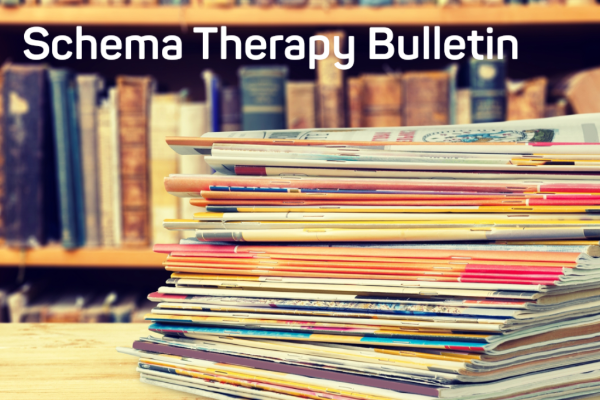 We continue to call for contributions for upcoming issues of the Schema Therapy Bulletin. If you have an article or want to propose a contribution, please make contact. by Lynda Parry, Clinical Psychologist, Australia. In his book The Interpretation of Dreams (1899) Freud heralded dreams as the royal road to the unconscious. Now almost 130 years later we know that the highway of dreams is in fact a two-way street. Lived experience influences dreams and dreams, even when they are not remembered, influence our waking experience. Research into dreams and sleep reveal exciting results and have led to new ways to work with patients’ dreams. This knowledge changes how we conduct therapy using dreams. Patients usually report enjoying dream work and consistently rate working alliance, insight and session quality significantly higher when dreams are included in therapy sessions (Wonnel & Hill, 2000). by Lisa Elizabeth Irvine, Clinical Psychologist, Australia. Psychologists working in the field of family law and high-conflict divorce are often exposed to the family-based attachment pathology known as Parental Alienation Syndrome (PAS). PAS is a subversive form of child abuse, in which the attachment bond between a child and an emotionally-available parent is deliberately undermined, and a perverse loyalty is formed with the Alienating parent after separation or divorce. Family Systems Therapists call this a Cross-Generational Coalition whereby the child is triangulated into the parental relationship in order to reject and vilify the Alienated parent. Earlier researchers have referred to the systematic alienation of one parent as the ‘Medea Complex’, Malicious Mother Syndrome and Gatekeeper syndrome. Others have claimed that PAS is analogous to the Factitious Disorder, Munchausen Syndrome. Childress has since asserted that the underlying psychopathology of the Alienating parent is a Narcissistic Personality Disorder. by Sally Skewes, Secure Nest and Elly Gannon, University of Adelaide, Australia. 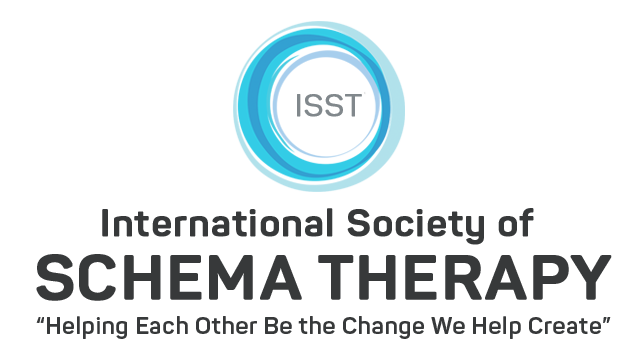 Secure Nest is an innovative e-health tool, which has been specifically developed for schema therapy. 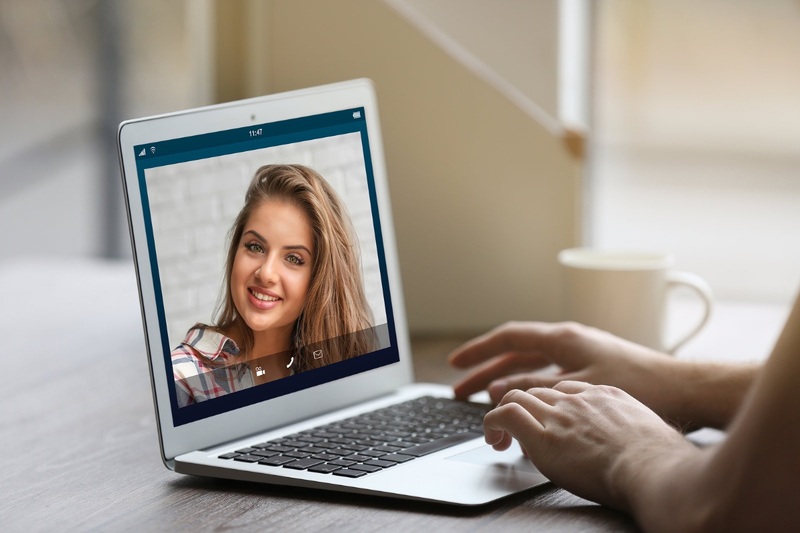 The platform offers a range of tools for therapists to support their clients, including programs which provide step by step guidance for therapists to facilitate blended short-term group schema therapy and individual schema therapy. Blended programs include a combination of face to face and e-health sessions. Secure Nest recently developed a self-education program where individuals can learn about schema therapy. In this article we present an individual’s insights into Secure Nest’s self-education program. by Wendy Behary, LCSW and Liz Lacy, LCSW, USA. From celebrities to political figures to the everyday individual... We have been bombarded by the news media in the U.S. with the recent meteoric rise in attention to acts of sexual misconduct, the sexual predators, perpetrators, addicts, and general sexual preoccupation. It is no surprise that we, as therapists, find ourselves continuing to peer into the important underlying explanations and evaluate the potential for helping individuals and relationships affected by these behaviors and attitudes to heal. Exploring the specific issues and critical content related to sexual activity can be, albeit incredibly important to conceptualization and treatment, an uncomfortable endeavor for many therapists. We need to be extraordinarily sturdy in our own skin when it comes to sexuality, personal feelings and biases about infidelity, and our deep understanding of the functions of sexualized modes and schemas. Add to that… the capacity to address the belligerence, self-righteous entitlement, denial, and arrogance of a narcissistic client with hypersexual modes.